I’m thankful for having the best job there is. Despite all the noise and nonsense that swirls around it, I love the kids I teach. I love the idea that I’m helping them with something so vital, so necessary, and so indispensable. I’m thankful that the overwhelming majority of my kids know that, and participate eagerly. I'm thankful to my colleagues for allowing me to represent them. I was pretty nervous about running for chapter leader, but I think Patrick Sullivan told me I had to, and after that I had no choice. The job is completely insane, but for some reason I can't explain at all, I love it. It's certainly not for everyone, but sometimes it's really worth it. It may not be a good job for most bloggers, because a whole lot happens that you simply cannot blog. I’m thankful to have supervisors who aren’t insane. I hear stories from all over the city of people who have it otherwise. I don’t get multi-page memos or endless lectures on the vital importance of bulletin boards, or how there is only one way to teach and every other way is absolutely worthless. Therefore I don’t need to worry that next year there will be a new only way to teach and that this year’s only way will then be worthless. I’m thankful to have a regular job and regular classes. I'm fortunate to sometimes be able help ATR teachers. But I understand how miserable it is for a teacher to go from one school to another, in an endless rotation of teaching subjects in which you may or may not have proficiency. Early after the advent of the ATR, I corresponded with a young teacher stuck in the rotation. She got so frustrated she resigned. I always remember that we are all ATRs, and that becoming one is usually a response to the offense of being in the wrong place at the wrong time. I’m thankful to be part of a union. While I may have a discouraging word or two about the leadership of the UFT, I know this blog and my voice in general wouldn't exist without it. Without a union I couldn’t speak out against overcrowding, mayoral control, APPR, charter schools, crooked politicians and reforminess in general. And though union leadership is against me in much of that, being union allows me to speak the truth. I’m grateful to have allies in the fight against reforminess. I’m particularly grateful for Diane Ravitch and Leonie Haimson, two voices that emerged from the wilderness and loudly demanded sanity. I’m grateful for a lot of my friends from ICE and MORE who continue to speak truth to reforminess, even as UFT leadership ridicules them and shuts them out from all levels of worthwhile decision-making. I’m grateful for those in leadership who actually help people without indulging in gratuitous and ridiculous prejudices. I’m grateful for my brothers and sisters in NYSUT who are beginning to note the insidious nature of the UFT machine, who will speak out and demand true representation in our state union. All over the state there is a growing awareness that it’s not worth demanding a “seat at the table” if we are to be the meal. It's becoming painfully apparent that Revive NYSUT opposes neither Cuomo nor Common Core. I'm lately reading that they're beginning to blame members who didn't vote, and their local presidents for the latest electoral disaster. In fact NYSUT leadership had a hand in creating disgusted apathy, by helping deprive us of the great choice that was Zephyr Teachout in the WFP. I’m grateful to our bold colleagues in Chicago who have thrown the bums out and created a real grassroots union. I’m hopeful things will not have to get so bad in New York before we realize we need to dump the heartless hacks and do the same. For me, my word is my bond. As I watch Revive NYSUT break promise after promise, I wonder whether their disingenuousness will become widely enough known that the people will vote them out. Of course, neither I nor anyone in my school gets a vote in NYSUT or AFT, and if we did it would be as rubber stamps for leadership that never met a giveback it didn’t like. 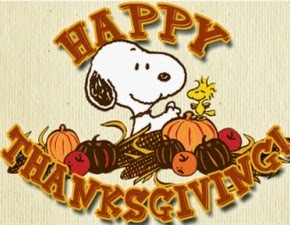 Like everyone, I’m thankful for family and people I love, and tomorrow I'll tell them personally. I hope that you have a chance to do the same, and that whatever weight you feel from the abject nonsense thrust upon you by the fanatical ideologues who refer to themselves as “reformers” is lifted, at least for a few days. The “reformers” will wither and perish, but we, the teachers, will be around as long as people are.